Pot stocks and software have been two of the main parts of the market attracting plenty of hot money in 2019, and this morning is no exception. In fact, with Ultimate Software (ULTI) spiking on news that the announced an agreement to be acquired by a private investor group, one can envision a scenario where M&A picks up this winter and spawns a fresh batch of buyers in enterprise software/cloud/cybersecurity-related names. On the marijuana front, I sold my ACB long into strength this morning after it had exceeded by rough target on the trade. I may be selling too early, but selling is far more of an art than a science in general. My focus is now on scouting fresh pot plays to procure the next capital rotation in a hot sector. 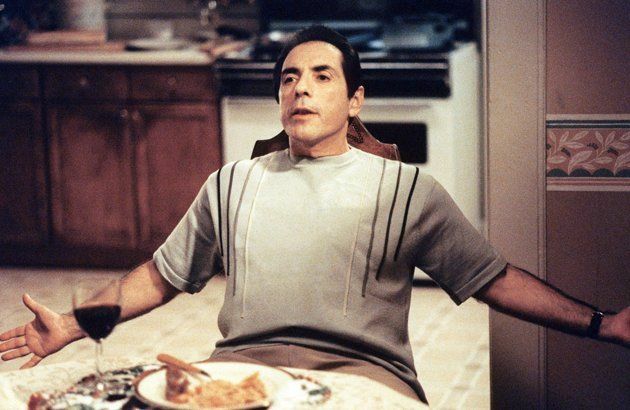 On that note, Canopy Growth Corporation (which always reminds me of this scene from The Sopranos) continues to coil below the key $50 level. 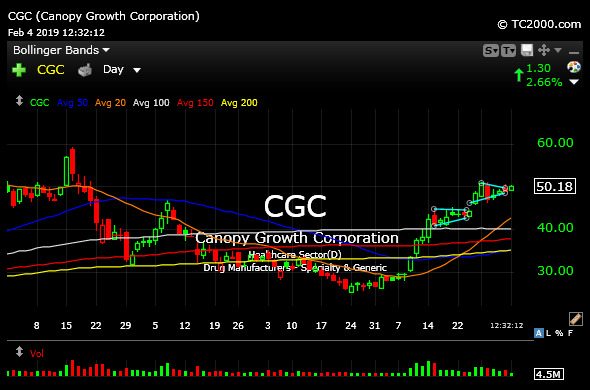 On the updated CGC daily chart, below, we can see the tight flag trying to unwind higher today. Earnings are scheduled for February 14th. We have a few other plays on the radar, which I will discuss with Members in my usual Midday Video.